Pattie Chalmers’ installation, “Every Day I Think of You”, is a project about the power of objects to remind us of an individual. 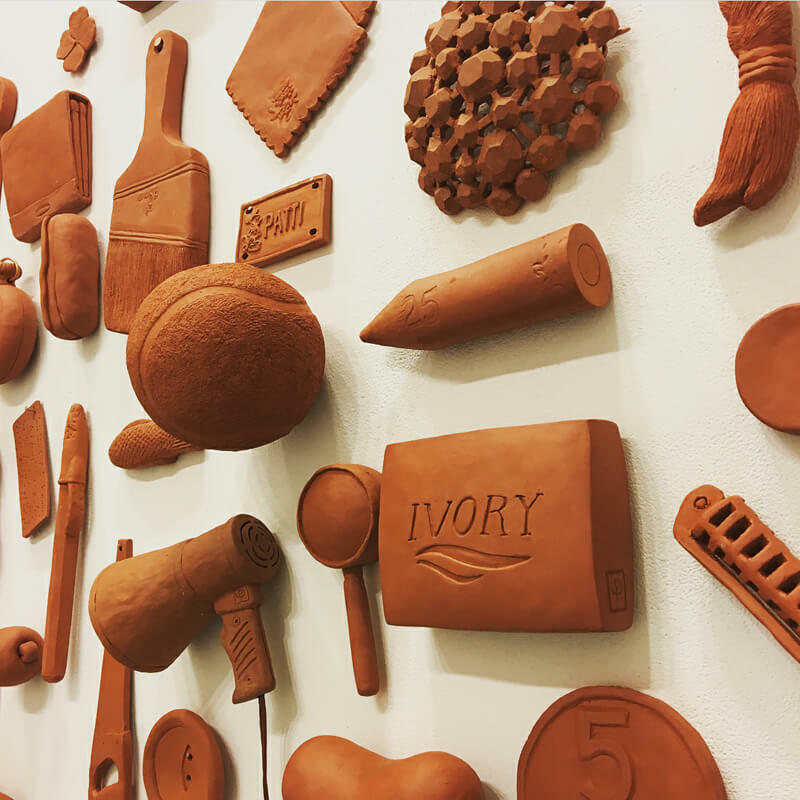 Each of the 365 terra cotta objects made by Chalmers possess an aura of someone she has personally known. Pattie Chalmers grew up in Winnipeg, Manitoba, this wintery prairie city proved a fertile ground for her imagination. She received a BFA in printmaking from the University of Manitoba and her MFA in ceramics at the University of Minnesota. Chalmers works steadily and exhibits widely having presented work on 4 continents, in 6 countries and in 27 US states. Since 2006 Chalmers has lived and worked in Carbondale, Illinois, where she is an Associate Professor of Art at Southern Illinois University School of Art and Design. (Chalmers might be a little bit compulsive and she definitely likes to laugh at her own jokes).